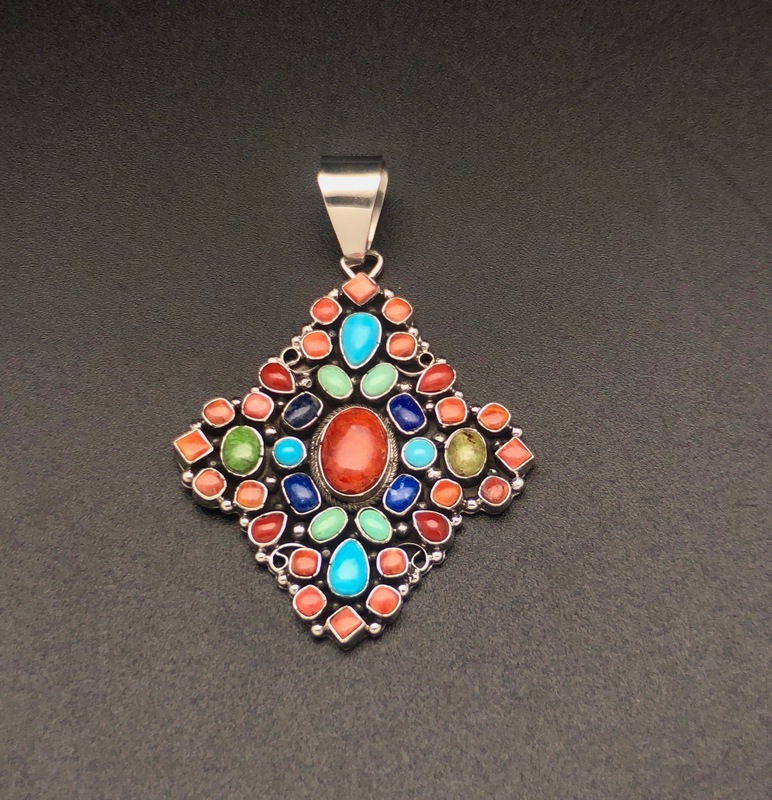 This beautiful pendant featuring an outstanding selection of Blue Lapis, Sleeping Beauty Turquoise, Spiny Oyster Shell, Gaspeite and Red Mediterranean Coral . 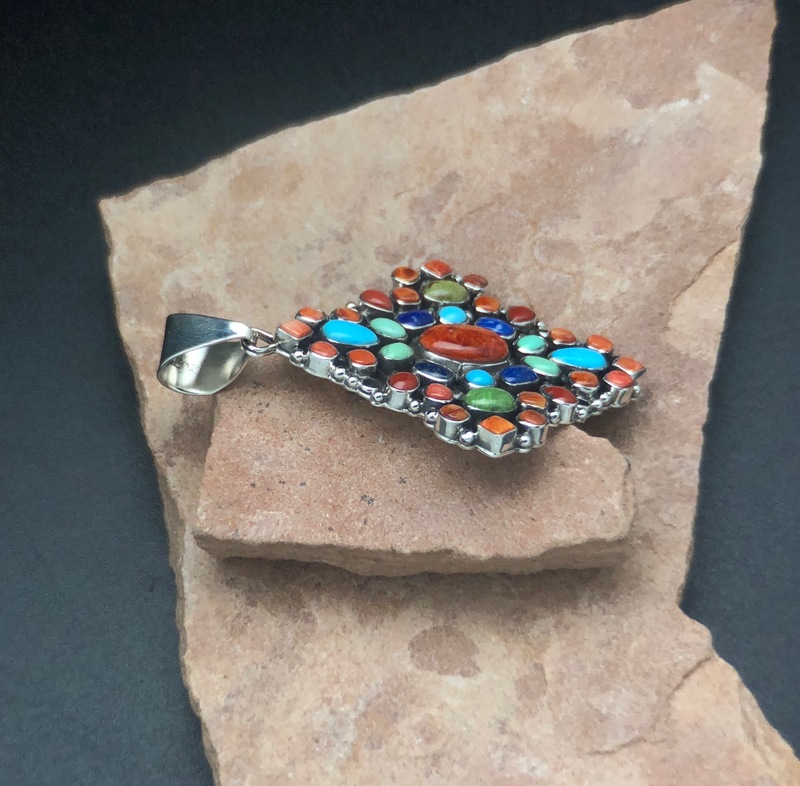 Stones are then set in a totally handmade mounting of sterling Silver by Navajo artist Eugene Largo from New Mexico. 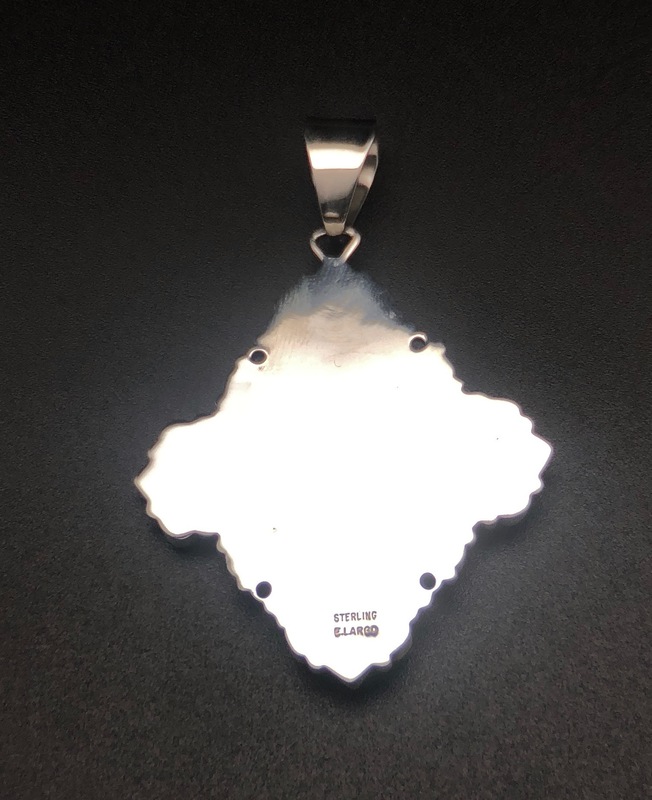 The Pendant and bale are approximately 3 ″ x 2 ″. The bale is large enough to accommodate most any chain or Navajo Pearls. The bright vivid colors make this piece casual enough to wear out shopping yet will dress up any outfit. This piece is certain to enhance any collection. 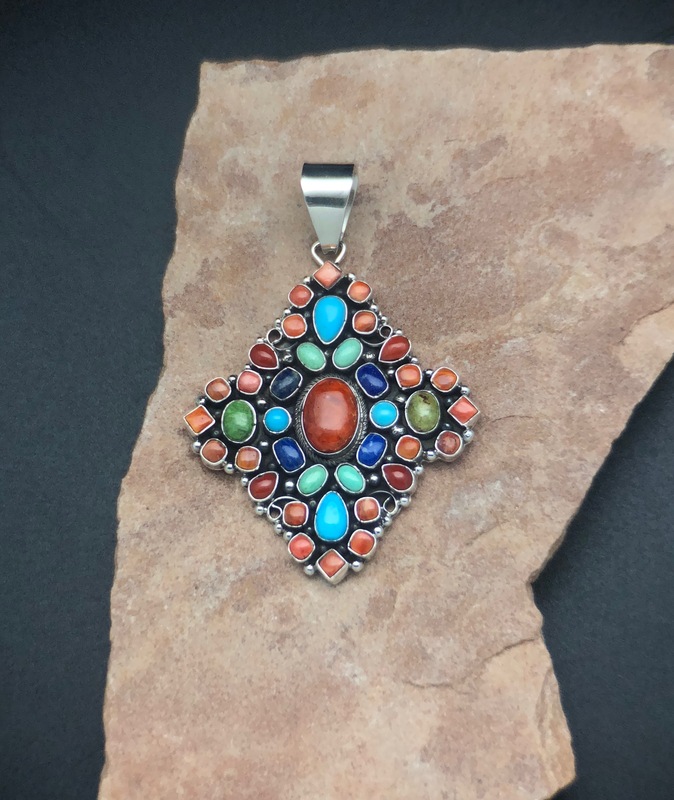 Share the post "SWS 127 NATIVE AMERICAN HANDMADE ORIGINAL EUGENE LARGO PENDANT"